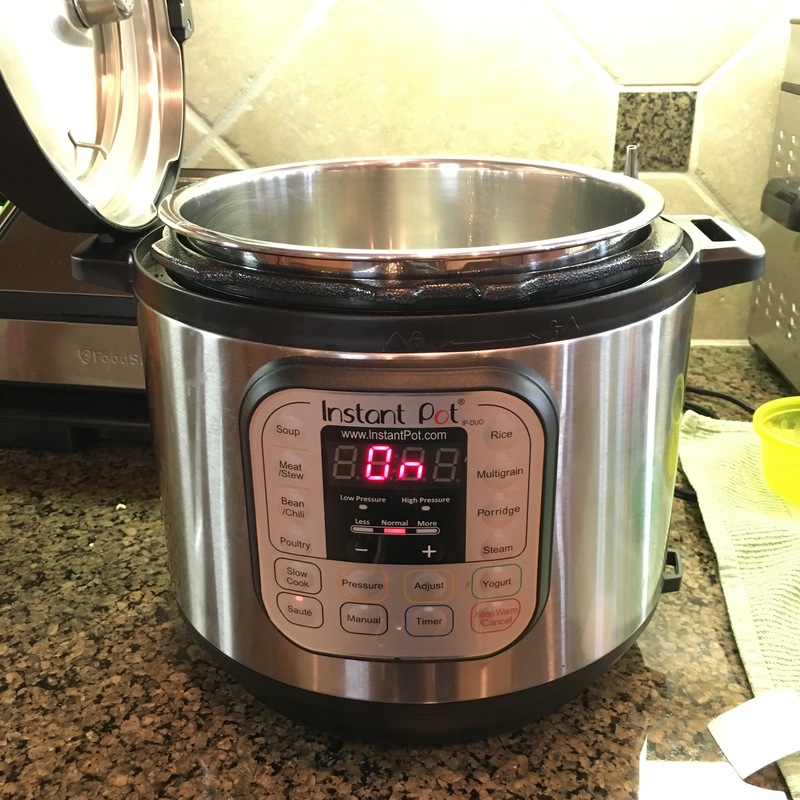 Amazon sold over 200,000 Instant Pots on Prime Day earlier this month. 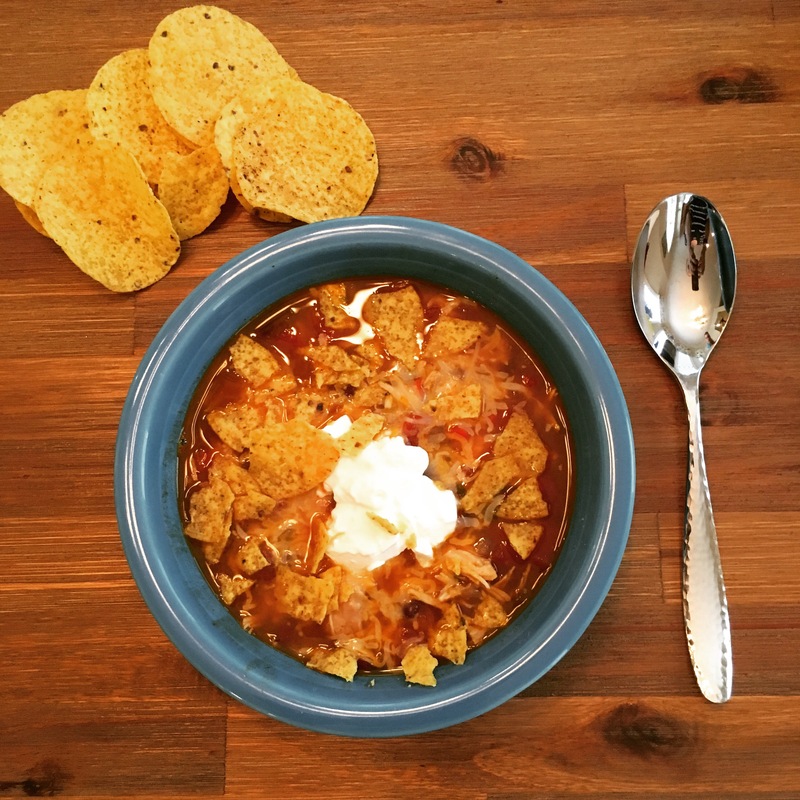 Here’s an easy, naturally gluten free recipe that everyone can enjoy whether or not you’re gluten free. It’s a great starter recipe for the IP! 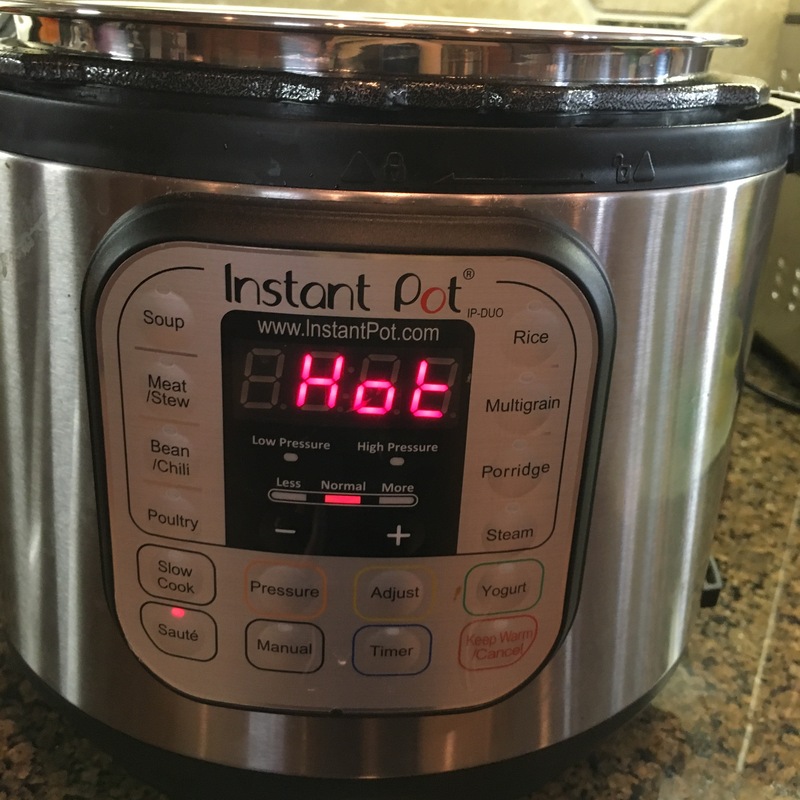 When it’s ready to cook, the display will say “Hot.” It likes to let you know that it’s warm at the same time as affirming that you’ve still got it. 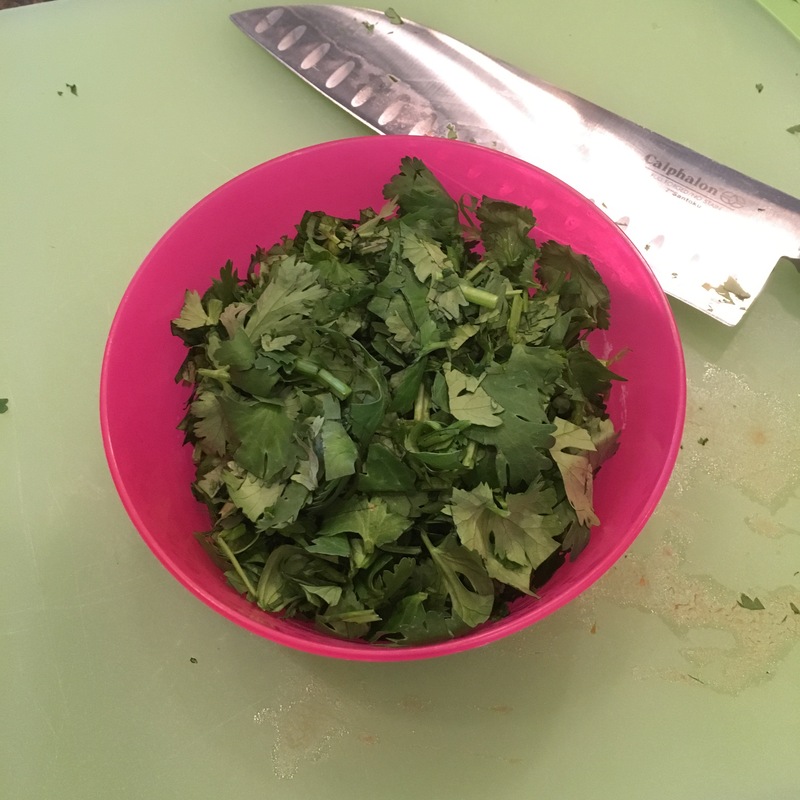 I chopped my cilantro earlier in the day since I was using part of the bunch in another recipe. I chopped the remainder and stashed in the fridge until dinner time. 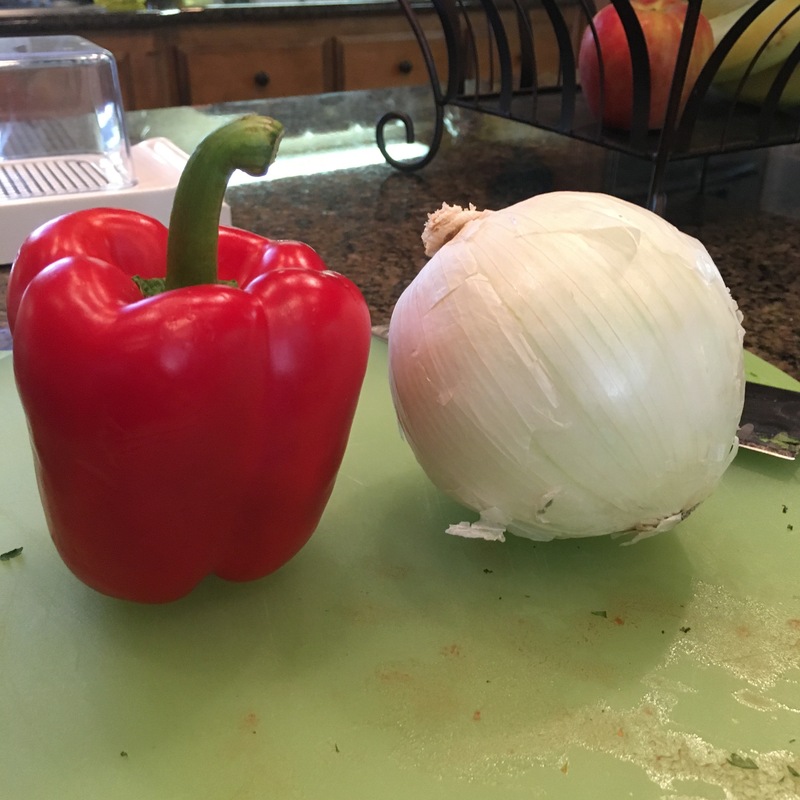 Dice a medium onion and a red bell pepper. You could use orange or yellow as well, but our kiddo picked a red one today at the store, so I went with it. I have a cool contraption I bought off Amazon a few years ago that dices everything evenly for me. I love it. No crying when I dice the onion! Drain your tomatoes and your beans. I used the 3 bean blend because it keeps everybody in our house happy, but you could also use all black or all pinto. I don’t rinse the beans so that the soup will be a little thicker. If you’ve got homemade chicken stock, USE IT. 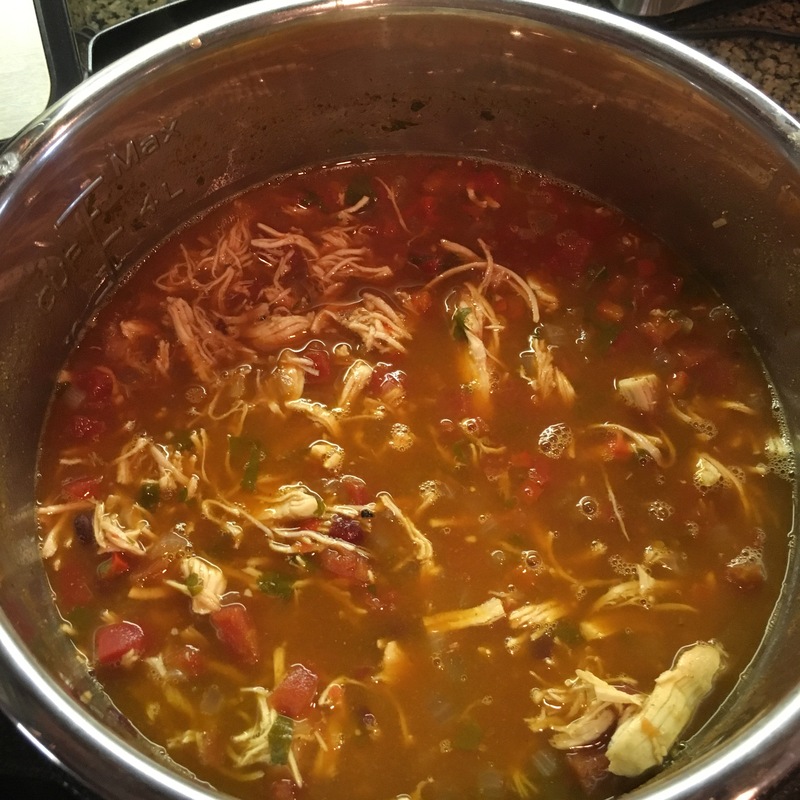 Homemade is delicious, but I do not have any thawed on hand, and the point of this recipe is how easy it’s supposed to be. 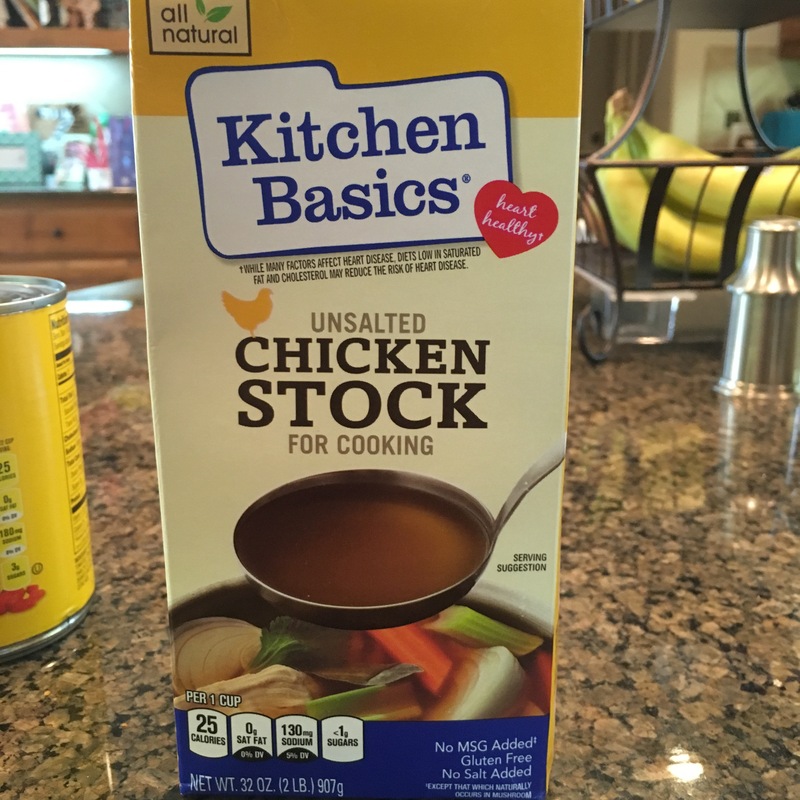 I love this chicken stock; I use it frequently to cook quinoa or rice. It’s gluten free! 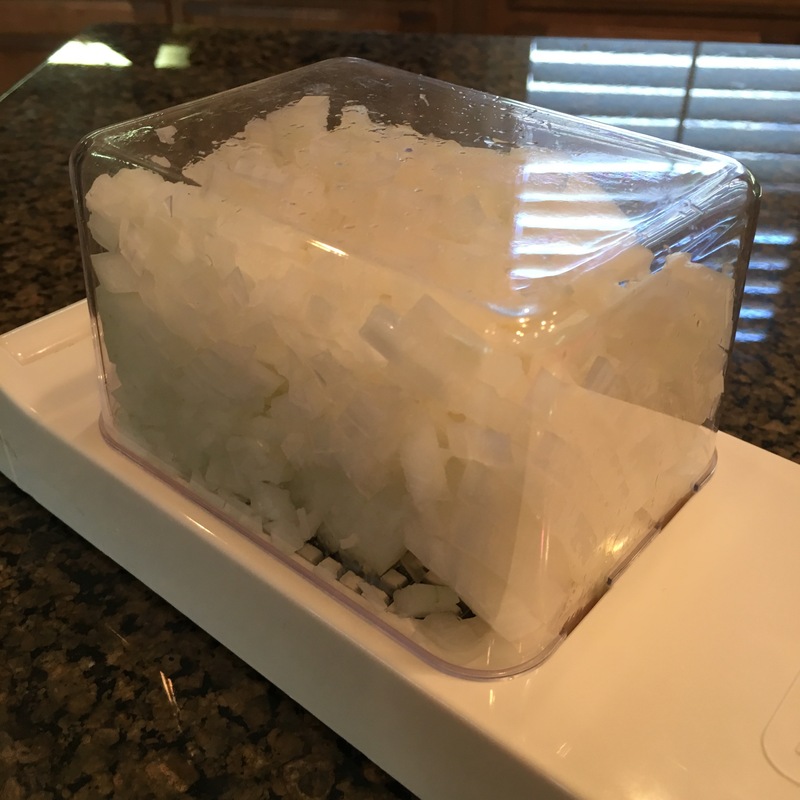 I prefer the unsalted kind so that I can control how much salt goes into the recipe. 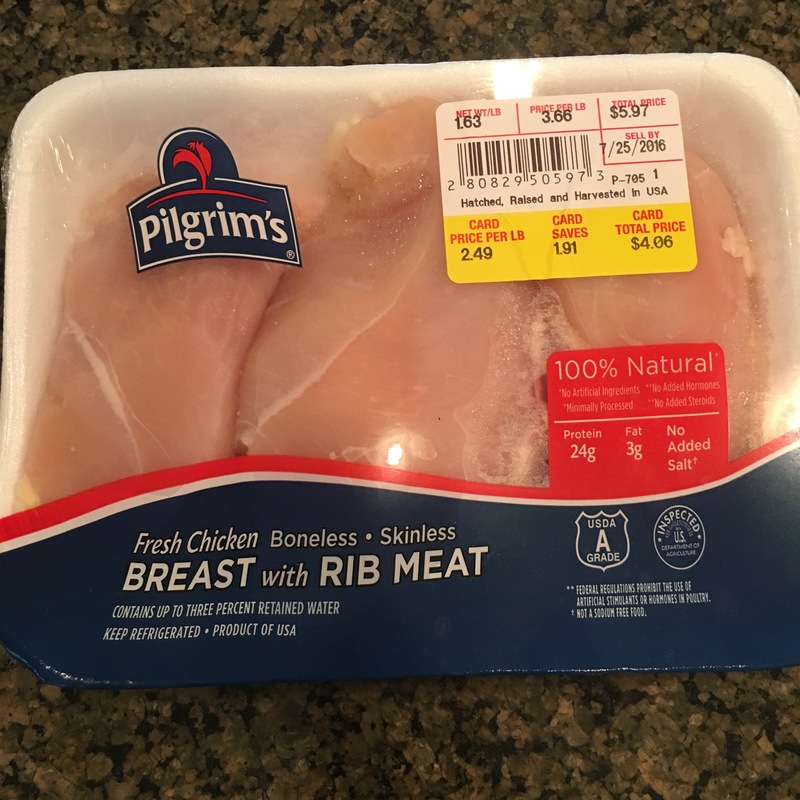 This was the smallest package of chicken I could find today. 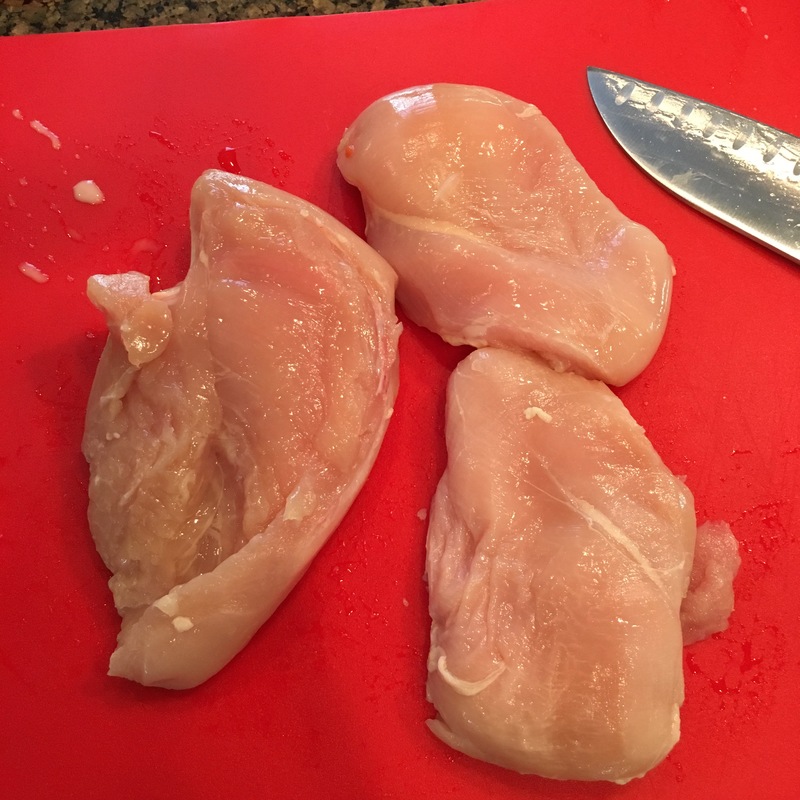 I trimmed up the chicken breasts because I have serious texture issues with any kind of fat or connective tissue. 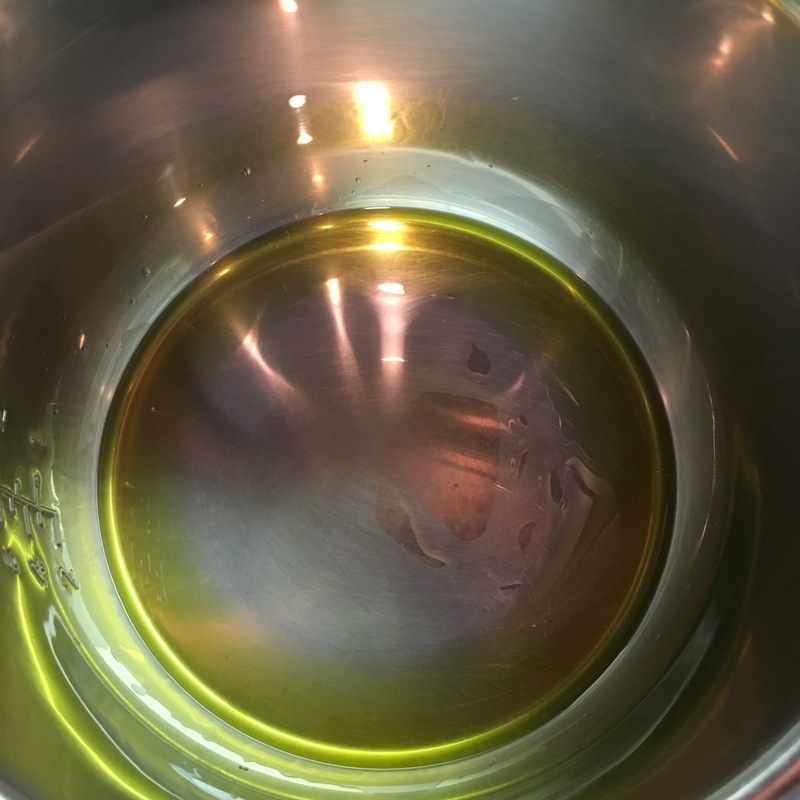 Add in roughly 1 TBSP of EVOO to the instant pot once it’s hot. If you have an exceptionally large onion, you may need a little more. Add in your onion and bell pepper. Cook for 4-5 minutes until the onion starts to turn translucent. 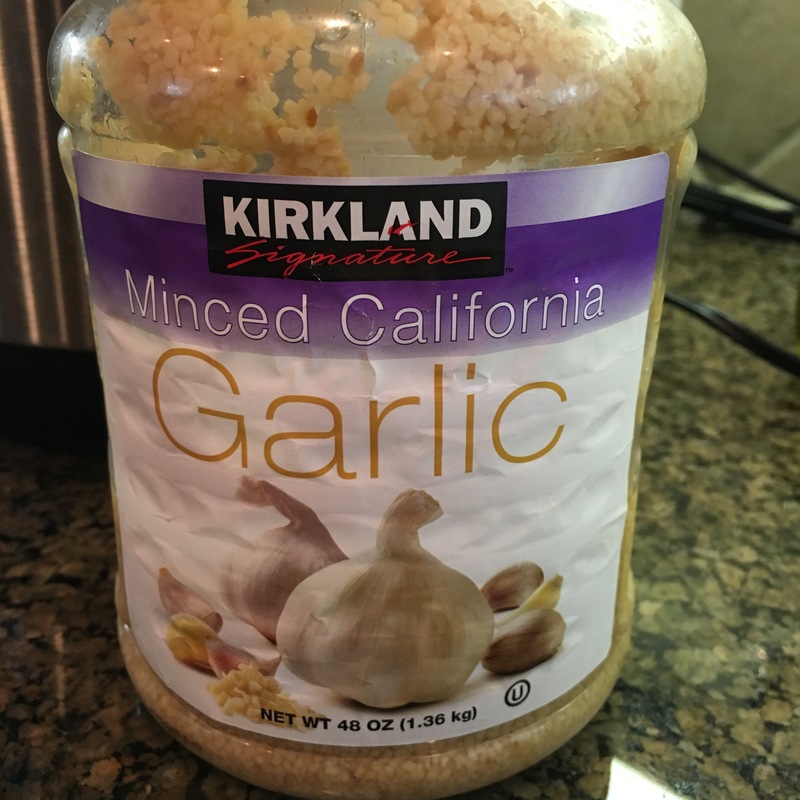 Meet my favorite way to use garlic. It’s minced in a giant jar that I store in the fridge. No garlic hands for me! Add 1 tsp (more if you love garlic like I do — I used closer to 2 tsp) and allow to cook for an additional 2 minutes. 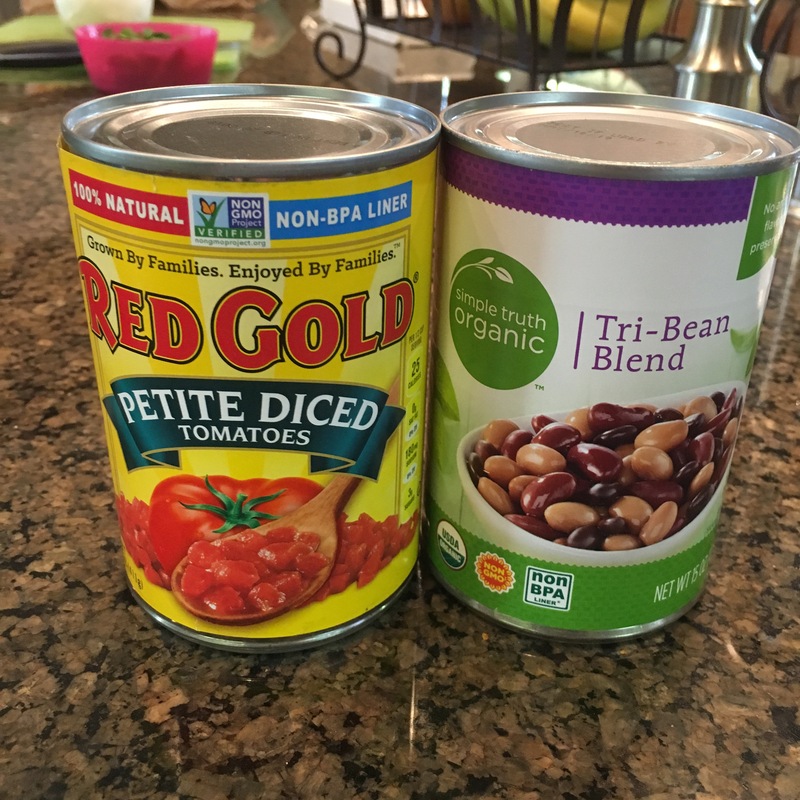 Dump in 2 cans of beans and 2 cans of petite diced tomatoes. Add in your seasonings (1 TBSP chili powder, 1 TBSP cumin, 1/2 tsp chipotle powder) and some more salt and pepper (1 tsp and 1/2 tsp respectively), and mix well. Lay chicken breasts on top. Pour on 4 cups of chicken stock and add in 2 handfuls of cilantro. 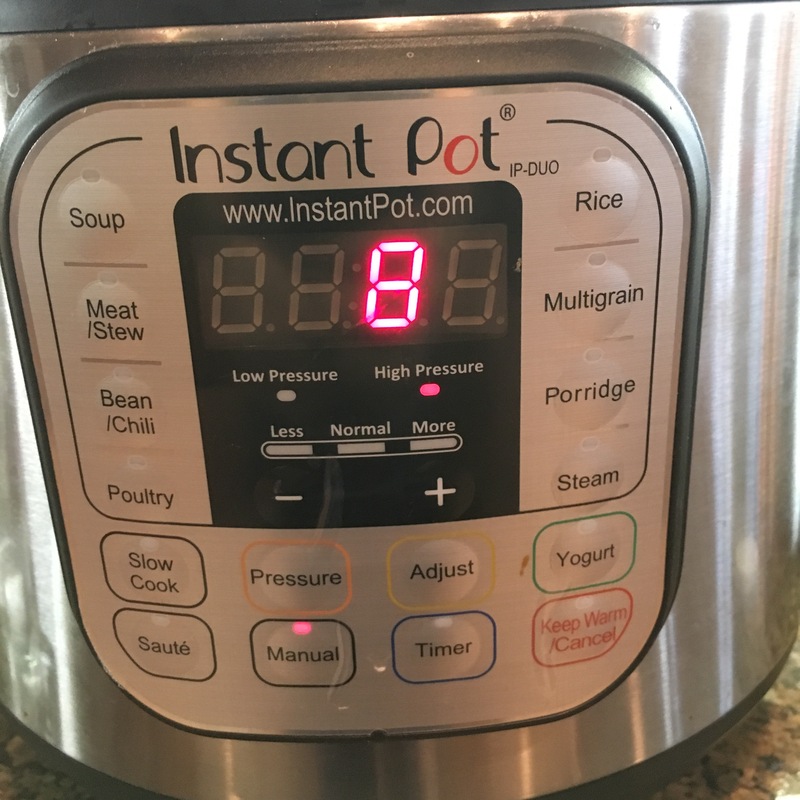 Put the IP lid back on and hit “Keep warm/ cancel.” Then hit “Manual” and then the – button (above “Pressure”) and decrease the time down to 8 minutes. Wait patiently for your IP to come to pressure and cook for 8 minutes (mine took closer to 20 to do all of it). Quick release and fish the chicken breasts out with a tong. 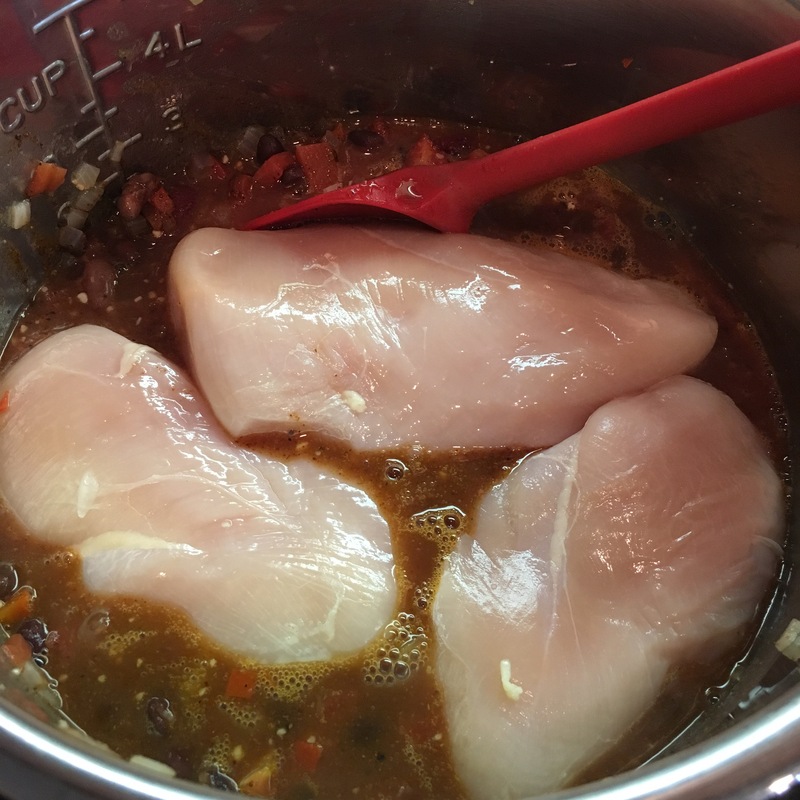 Here’s the game changer: you can use a stand mixer to shred your chicken breasts in less than a minute. I put all 3 breasts in at once since they weren’t very large, and I turned it on low using the paddle attachment. When the chicken started to shred, I turned up the speed a little bit until it was at the desired texture. Boom. No forks, no mess, no burns. I love this trick. 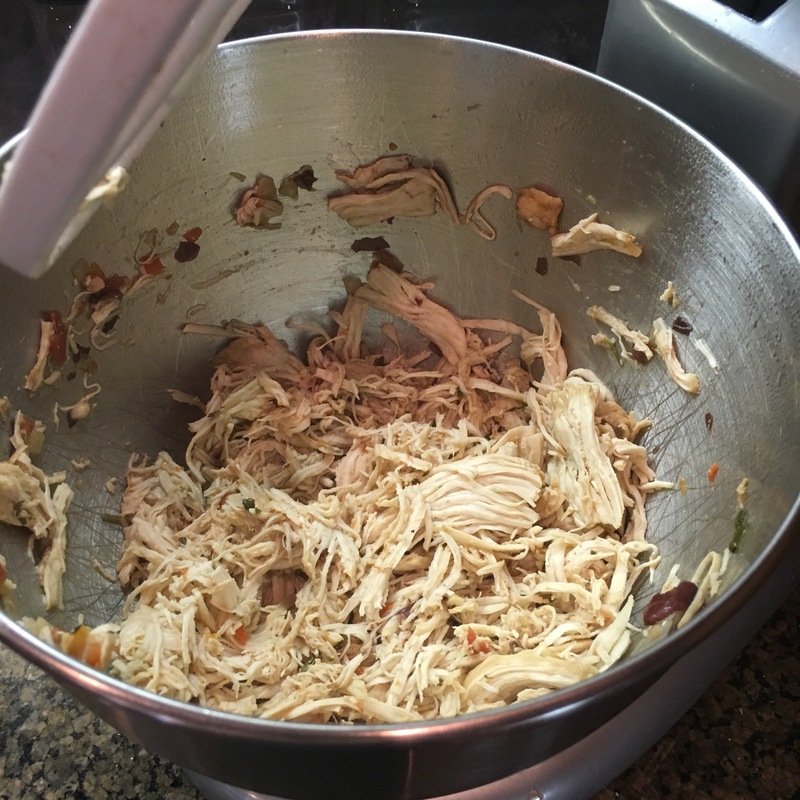 Put the shredded chicken back in the IP, add in the remaining cilantro, and mix well. Serve up in bowls. Top as desired: we did tortilla chips, cheese, and sour cream tonight, but avocado would be delicious too. We had enough to feed our family of three tonight and for at least two more meals. This makes a TON! Turn IP to saute. Add 1 TBSP EVOO and cook onions and bell peppers for 4-5 minutes until onions start to turn translucent. Season with 1/2 tsp kosher salt and a few grinds of pepper when you start to cook then. Add garlic and cook for 2 minutes more. Add beans and tomatoes and mix well. Add chili powder, cumin, and chipotle powder as well as an additional tsp of kosher salt and 1/2 tsp of freshly ground pepper. Mix well and top with chicken breasts. 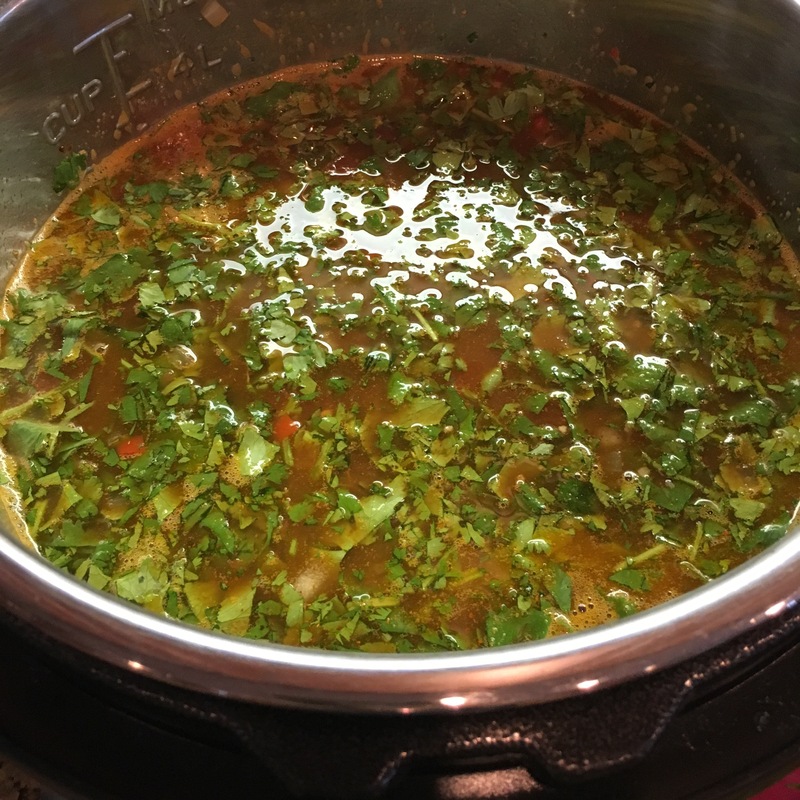 Pour 4 cups of chicken stock on top and add a couple of handfuls of chopped cilantro. Set IP to manual and cook for 8 minutes. 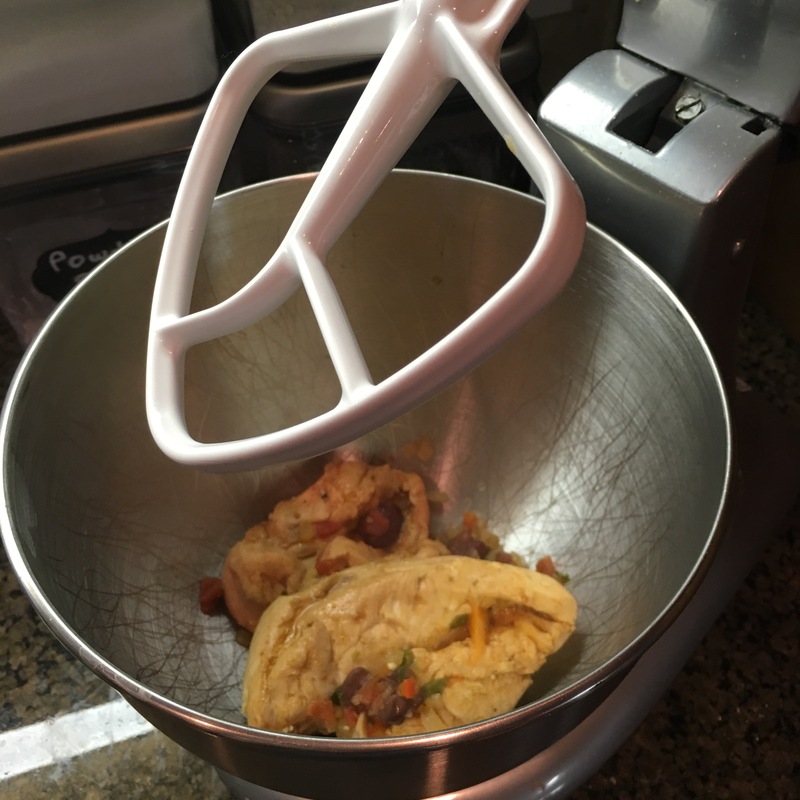 QR and shred chicken in stand mixer or by hand. Add chicken back to pot and adjust salt and pepper to taste. Top with tortilla chips, sour cream, cheese, and/ or avocado. What is the onion chopper brand? Amazon has many listed…since yours has lasted for years, I want to be sure I get the same one. Thx! It’s an Alligator. I’ve been happy with it! Why do you drain the tomatoes? I would include the juice for flavor. 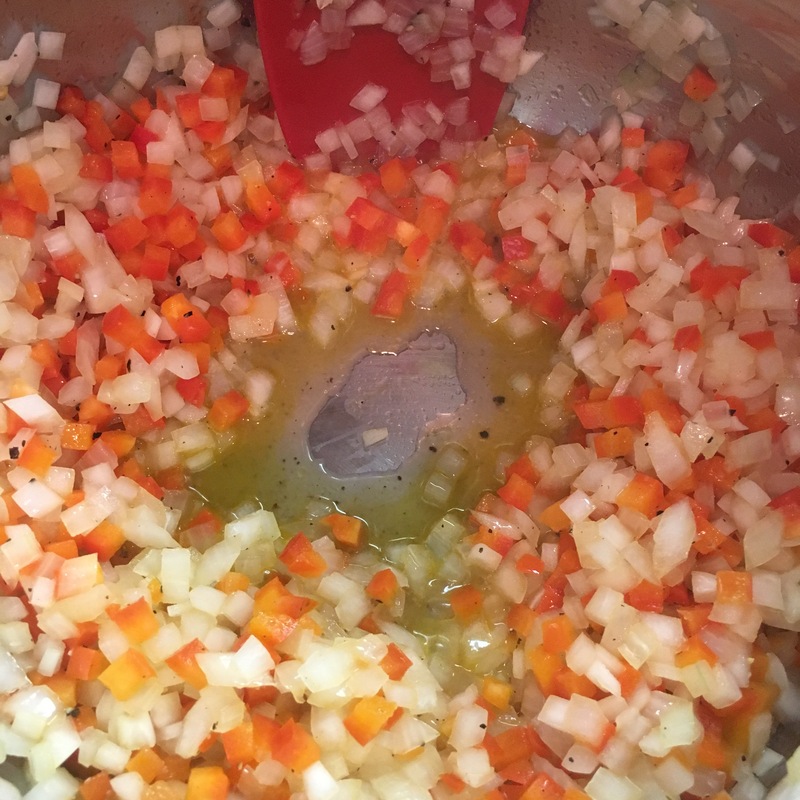 If you think that adds too much liquid, just reduce the chicken broth to accommodate. And me personally, I use the juice from the beans as well. I drain the tomatoes because I find that not draining them makes the soup a little too acidic for my taste. I also prefer the beans drained as I feel adding all their liquid makes the soup taste too strongly of beans. The glorious thing about this recipe is how adaptable it is! 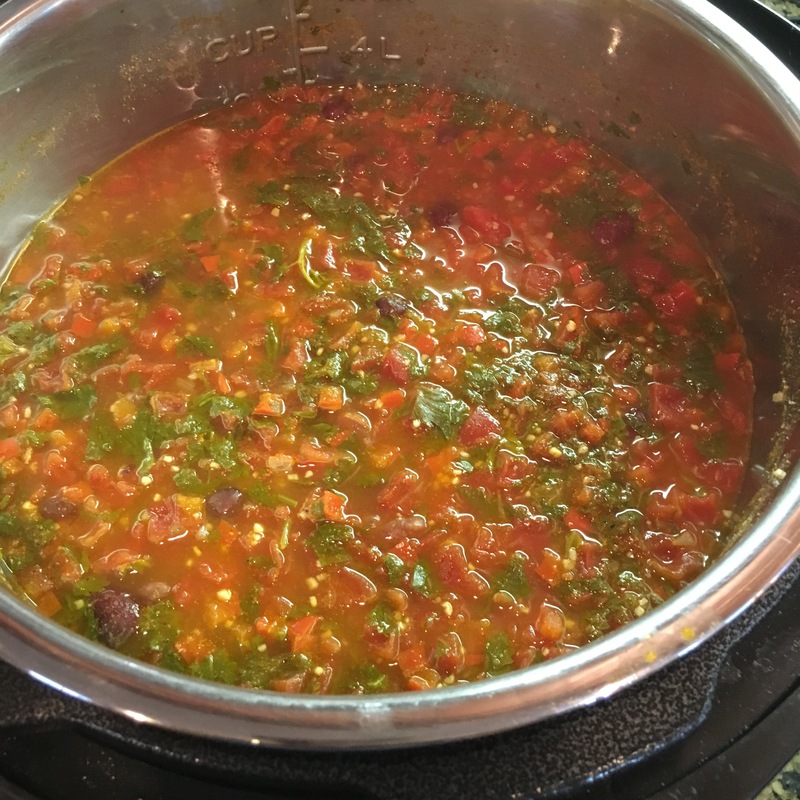 If you prefer your liquid to come from the tomatoes and beans, it’s very easy to adjust other liquids. You could even add it all in together. There’s more than enough room in the IP!